If you want to ride in the terrain park and learn hand plants this season then you should strap into the K2 Fastplant Snowboard. The lightweight and durable Bambooyah™ core aims to advance board control, while the Carbon Web™ I and Ollie Bar™ technology grant you with more pop than ever before. Tweekend™ gives the board stability, control, and softer landings . . . In translation, you will need it when you're gaping down a handrail or landing a huge spin. Wreck the park with style on the K2 Fastplant Snowboard. Freestyle Baseline™ – This versatile twin Rocker is built to dominate any freestyle line. Just enough rise in the tip and tail contact points to create a loose, buttery feel while maintaining instant response and pop. Tweekend™ – A revolutionary tweak to the ends of K2's industry leading Baseline technology. By extending the Baseline rocker all the way out to the ends of the board, an additional rideable surface is unlocked, giving you a bigger, more stable platform to press, float and land on. Flex Rating: 5 (1 Soft - 10 stiff) – A medium flex for a snowboard that is both playful and responsive. True Twin – Symmetrical board for seamless regular and switch riding. WH4 Honeykomb – The WH4 Core pulls every trick from K2's bag of core tech. With 3 urethane-skinned Honeykomb strips and rail-to-rail wood, WH4 is engineered to maintain durability at minimal weight. Bambooyah™ – Snowboard cores inspired by skateboards because of their horizontal bamboo lamination. Extremely durable, Bambooyah™ Full decks have an extended limited warranty of 5 years. ICG 20 – Integrating carbon into the fiberglass reducing overall weight and creating a super smooth release of power while increasing pop and liveliness. 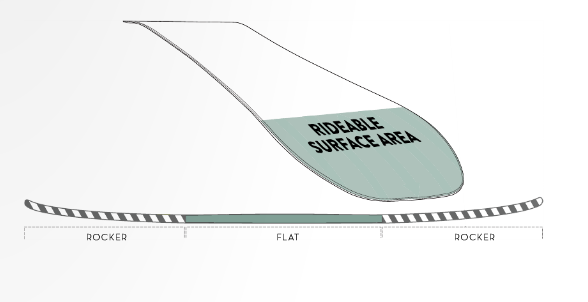 Each level of ICG is tailored for the rider at hand and their performance needs. Biaxial – The classic structure laminate, biaxial glass provides smooth all-purpose performance. 4000 Sintered – This is the fastest base material available, with exceptional durability and wax retention.